A new update has been released for The #Sheepening! We’ve added Google Play Leaderboards and Achievements! Players can now compete globally for the best time on each level in Time Attack mode! Players can also compete for the most sheep saved in any mode! The Google Play sign in button can be found in the Settings screen and Pause Screen. Time to rescue some sheep!!! AndroidHeadlines.com just published their review of The Sheepening! The Sheepening is nothing but incredibly charming, and that’s just scratching the surface. In fact, the Sheepening plays brilliantly with its arcade style gameplay and good-looking 3D graphics. 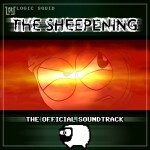 The Sheepening Soundtrack has officially been released to digital retailers! It’s a 12 track album with all the music you loved from the game in extended form. Look for it on AmazonMP3, iTunes, Spotify, Rhapsody, Last.FM, Xbox Music, Google Music and more! The Sheepening Launch Trailer has just hit youtube! Go check it out and be sure to grab the game from the Google Play Store now to take advantage of our Holiday Launch Sale! 50% off until January 1st! Don’t forget to check out the Merch page for some Sheep Swag. The Sheepening is now officially released and available for download on the Google Play Store! Be sure to grab the game during our Holiday Release Discount Sale! .99 CAD until January 1st! We apologize for the minor delay in release schedule but hope that you all enjoy the inaugural release from your pals at Logic Squid! Stay tuned for more content to be added soon! The Sheepening has arrived! 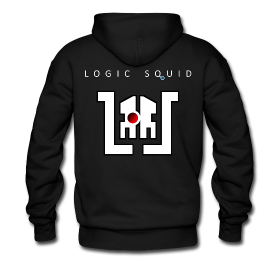 Official Logic Squid gear is now available! section to see what is currently on sale. 2012 was just the beginning for Logic Squid, it saw the inception of the company and formation of a group of individuals with passion and talent to share with the good people who love quality entertainment. The team is now established and hard at work on the launch of their first title The Sheepening which will be released on Android devices this year. The website is up and running, with future enhancements on the way! The team here at Logic Squid is looking forward to a great and successful 2013. The Logic Squid website is officially up and running!! Remember to check us out on twitter and facebook!